i'm looking at these leaves and realizing how much I miss summer! 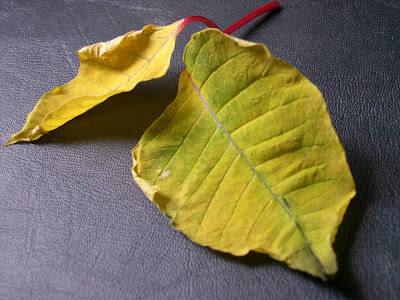 I’ve always loved dried leaves – the colour and texture, the curled figure and the crisp noise they make. Nice pic! beautiful composition. love the texture of the background against the foreground. simple yet beautiful.